New England is joining the frontrunners in the renewable energy movement, with a little help from the results of November’s elections. With shared power sources and relationships that depend on interconnected infrastructures, the 6 New England states are poised to surge ahead to reduce carbon emissions. The Regional Greenhouse Gas Initiative (RGGI), the nation’s first and sole multi-state cap-and-invest program covering power plants, is celebrating its 10 year anniversary. Maine’s new Democratic Governor, Janet Mills, is putting solar panels on the governor’s residence. Massachusetts is trying to get Canadian hydropower to the region. The sign leading into the dining hall apologized for any inconvenience while the rooftop of Donovan Dining Center and its neighboring Student Union were being equipped with solar panels. Rhode Island College (RIC), a small state school located at the edge of Providence that serves 8500 students, was installing a $300,000 solar photovoltaic (PV) system. The system is expected to save the college more than $231,000 in energy costs over the next 15 years. Ameresco, an energy efficiency and renewable energy company, previously partnered with RIC to provide cost savings through energy efficiency and infrastructure upgrades to 33 buildings. The project was funded by the Rhode Island Office of Energy Resources and Rhode Island Commerce Corporation. The 110.9 kW system will be tied into the college’s electric service and is expected to generate 132,502 kWh in the first operating year. Savings will be in the form of direct reduction of kWh usage. Using the US Environmental Protection Agency Greenhouse Gas Equivalencies Calculator, the RIC solar system is expected to reduce carbon emissions by 1,358 metric tons of CO2 annually. That would be equivalent to the CO2 emissions from 163 homes’ energy use for one year or greenhouse gas emissions from 288 passenger cars. Sunrun, Inc. has won a bid to deliver home solar and batteries as a source of energy capacity to grid operator ISO New England. ISO New England is the independent, not-for-profit corporation responsible for keeping electricity flowing across the 6 New England states; it ensures that the region has “reliable, competitively priced wholesale electricity today and into the future.” Through its capacity auction, ISO New England awards the lowest-cost energy generators with commitments to supply electricity across six New England States. The grid operator says its annual capacity auction concluded with sufficient resources to meet peak demand in 2022-2023. Sunrun is calling the winning bid a “historic breakthrough” for clean, distributed energy and the first time in the US that home solar and battery storage has directly participated alongside centralized power plants in a wholesale capacity market. The company says this signals a transformational shift away from the traditional, centralized electricity model – with big power plants – toward a system powered by local clean energy. Sunrun will provide 20 MW of energy capacity from its Brightbox home solar and battery systems to ISO New England beginning in 2022, which represents approximately 5,000 New England customers. Brightbox is a holistic solar battery storage service that offers clean, safe, reliable backup power that provides individual control over home energy use and cost. Sunrun says its Brightbox home solar and battery system can power homes day and night with clean energy, provide backup power in the event of a grid outage, and deliver power to homes at times when demand for electricity is at its highest, reducing the need to fire power plants at peak times. 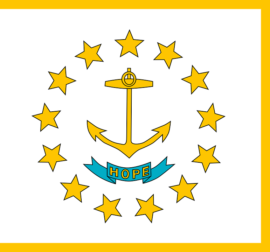 the coasts of Massachusetts and Rhode Island. Ørsted acquired all three assets in November 2018 as part of its Deepwater Wind transaction.